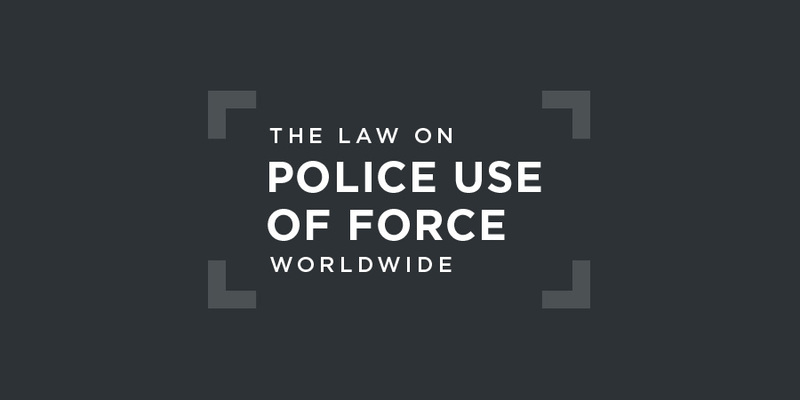 Somalia should adopt national legislation to restrict the use of force and firearms by law enforcement officials as international law requires. Police use of a firearm is only permissible where necessary to confront an imminent threat of death or serious injury or a grave and proximate threat to life. Every person has the right to personal security, and this includes: the prohibition of illegal detention, all forms of violence, including any form of violence against women, torture, or inhumane treatment. (1) Every person has the right to organize and participate in meetings, and to demonstrate and protest peacefully, without requiring prior authorization. (4) The federal police force has the mandate to protect the lives and property, the peace and security of the citizens and other residents of the Federal Republic of Somalia. (5) The police forces established by the laws of the Federal Member States have the mandate to protect lives and property and preserve peace and security locally, alone or in cooperation with the federal police force. The Somalia Police Force is the nation's main federal law enforcement agency. UNSOM Police (the United Nations Assistance Mission in Somalia) provides strategic advice to the Somali government at the federal and state levels with a view to establishing and strengthening capable, accountable, and rights-based police services. The Joint Policing Programme (JPP) will oversee the development of a legal framework and accountability for policing. Somalia has no dedicated independent civilian police oversight body. Somalia has not come before the Human Rights Committee in recent years. Somalia has not ratified the Protocol to the African Charter on Human and Peoples' Rights, allowing the African Court to hear cases alleging a violation of the Charter by the state.